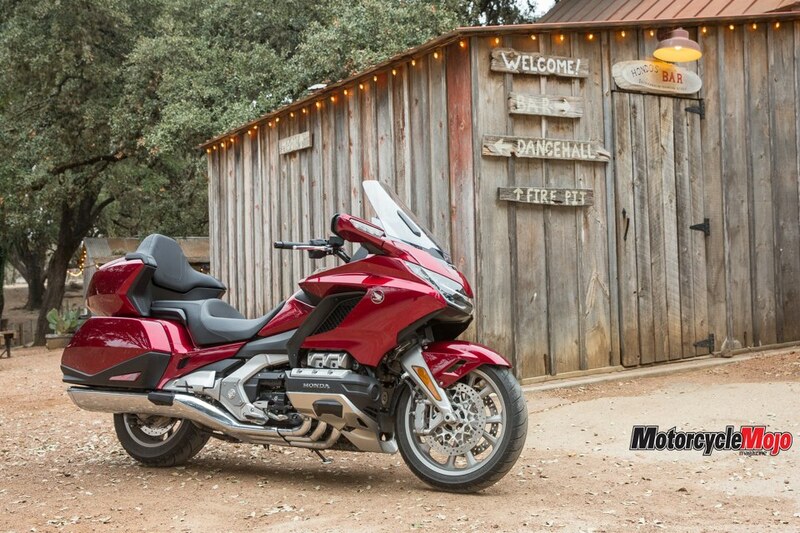 Other than getting a few cosmetic changes over many years, the previous-generation Gold Wing needed a major upgrade. Honda knew it and did something about it in what might be one of the most important motorcycle releases of 2018. Things don’t always go as planned. 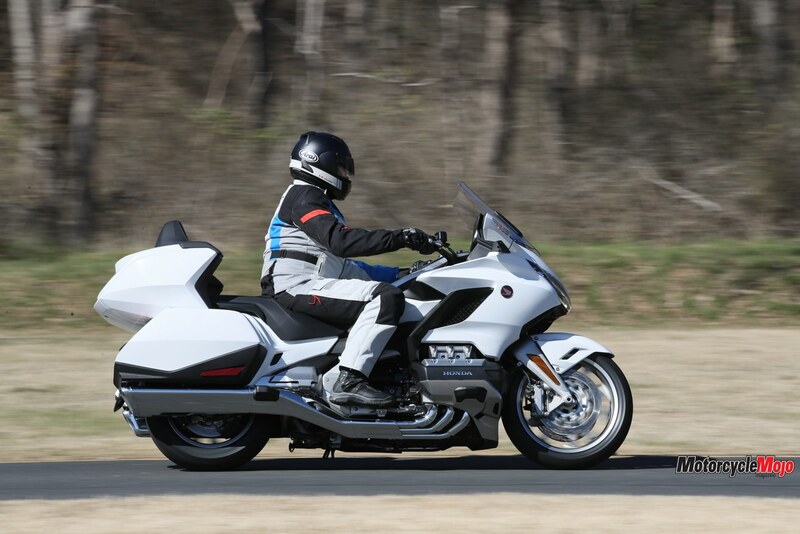 The international launch of the 2018 Gold Wing, held in Austin, Texas, was supposed to include a two-day ride that would allow us to experience Honda’s flagship touring bike on the open roads and highways of America. 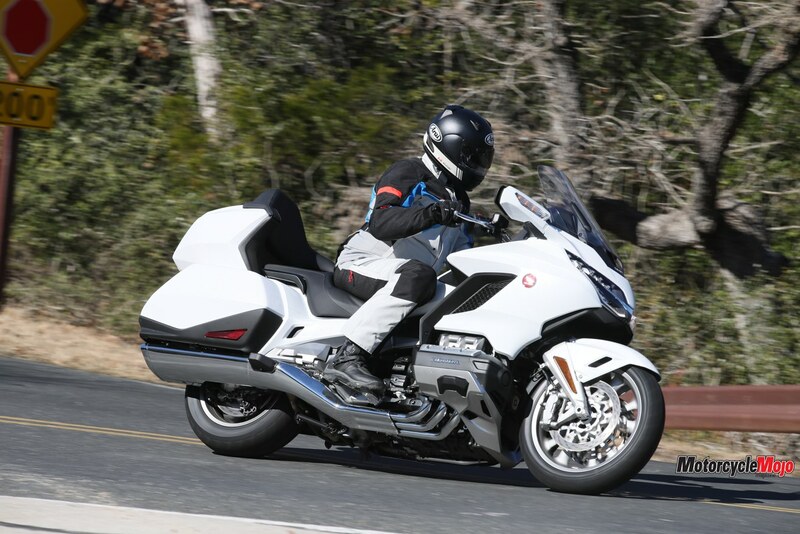 Unfortunately, what was supposed to be a tour of more than 650 km through the heart of the Lone Star state was reduced to two laps around a 30 km “dealer loop” that circled the hotel. 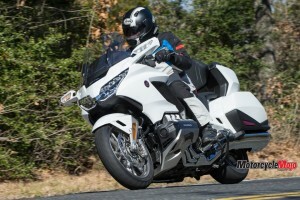 This certainly wasn’t to be a fitting test of what is probably the most anticipated touring bike of the last several years. 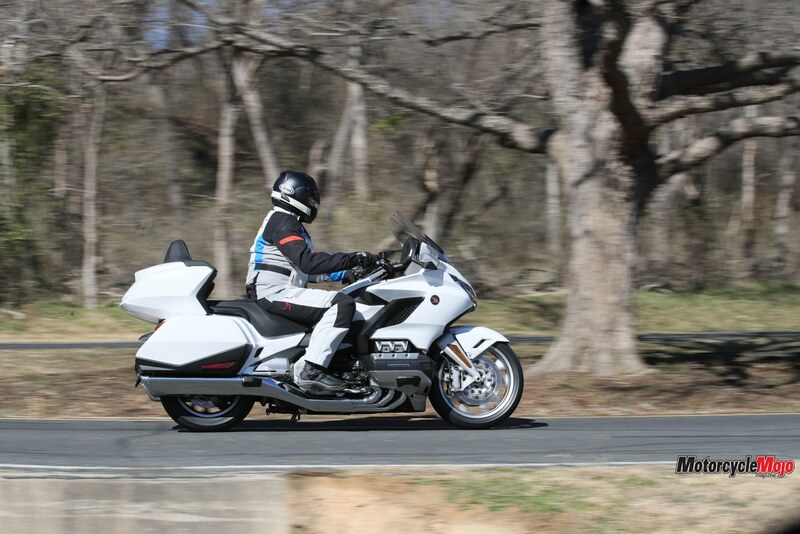 This shorter ride was forced on us because just as media arrived into Austin for the launch, so did an unusually brutal cold front that brought sub-freezing temperatures, freezing rain and snow. 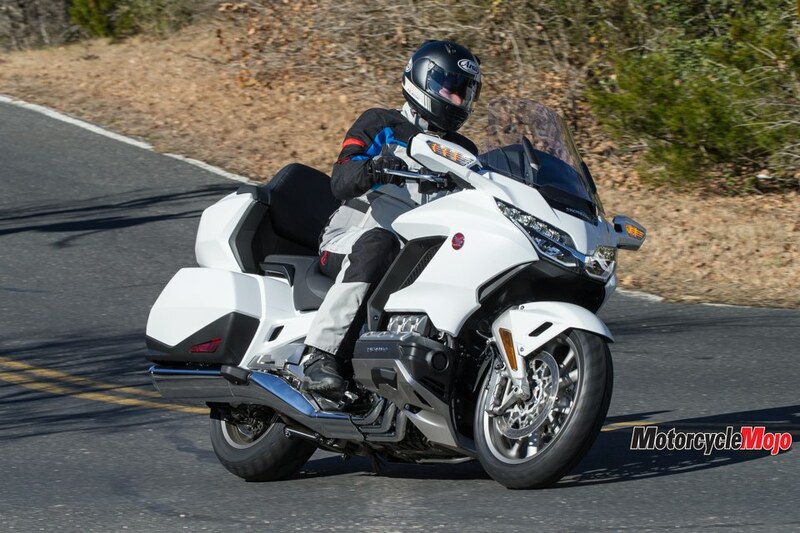 Now, while cold temperatures don’t hinder us Canucks, icy roads and inexperienced winter drivers do, so in the interest of safety, the folks at Honda cancelled the first day’s ride and offered a sampler ride on the second. 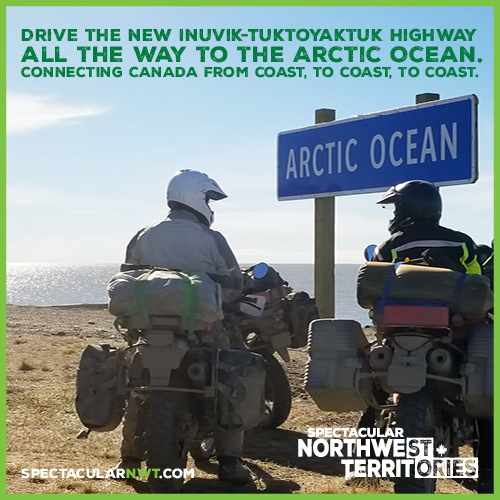 Fortunately, I didn’t have to head home just yet, so while the rest of the Canadian contingent left after the launch, another journalist and I hung back for an extra day to get in a proper 350 km ride, as the weather had let up just enough to make conditions safe. 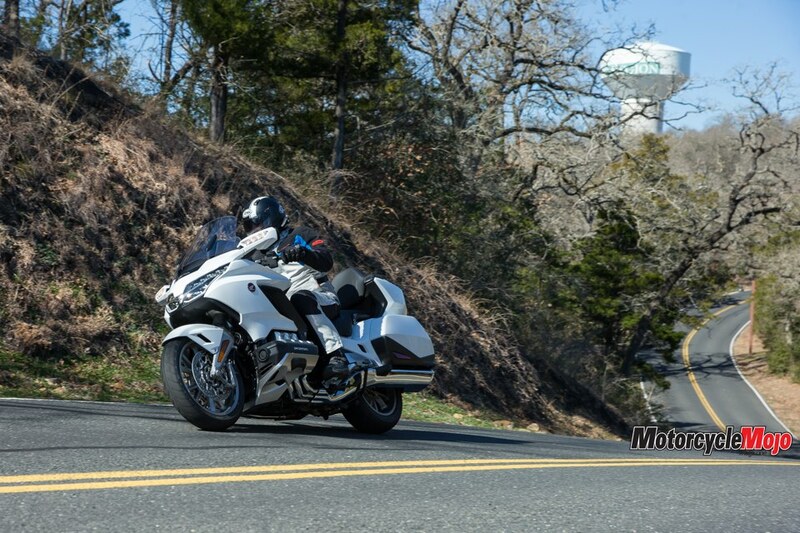 This revised ride took us along a variety of back roads and highways, albeit in temperatures that struggled to stay above zero, which actually emphasized the bike’s improved aerodynamics, as well as its improved heated seat and grips – but that’s not all that’s improved. 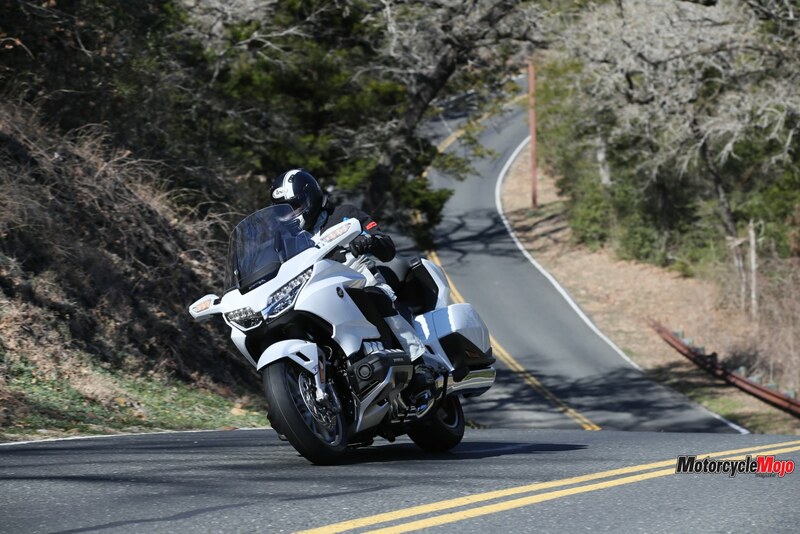 All four models were available for testing (see sidebar), but I rode the Gold Wing Tour DCT exclusively because of the reduced riding time, except when I swapped to a previous-generation bike for a direct comparison. While seated, I noticed the new Wing is noticeably narrower between the knees and narrower behind the fairing. It’s much easier to lift the bike off the side stand – not surprising since it has lost as much as 40 kilos, depending on the model. 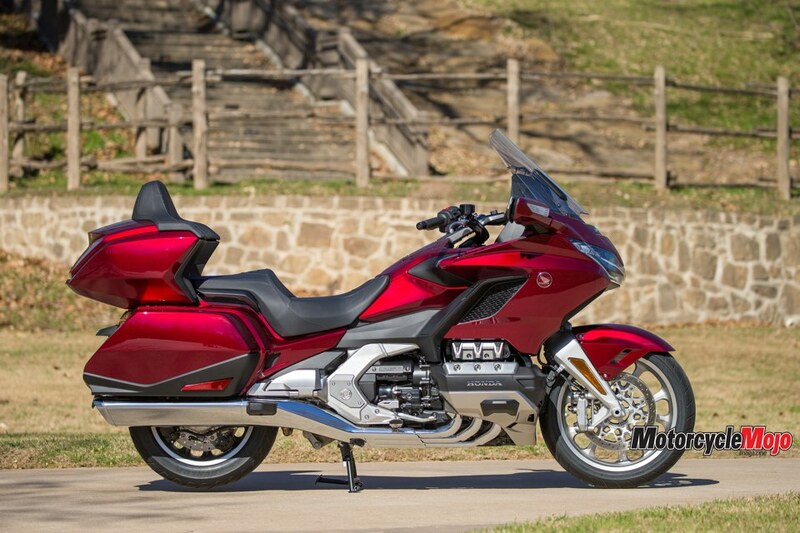 For comparison, the claimed wet weight for the Gold Wing Tour with the manual gearbox is 378 kg, compared with 419 kg for the outgoing model. That’s a big difference. The cockpit is roomier than before and more accommodating for tall riders between the seat and foot pegs. The seat is narrower and less couch-like, yet it’s supportive, and proved comfortable for the duration of my ride. Seat and grip heat is better, too, adjustable to five levels via dedicated buttons mounted on the centre console, with the level displayed on the instrument screen. In the near-freezing temperatures, they both remained at maximum level. Despite the narrower fairing, wind protection is markedly improved and exhibits much less buffeting at speed than before. 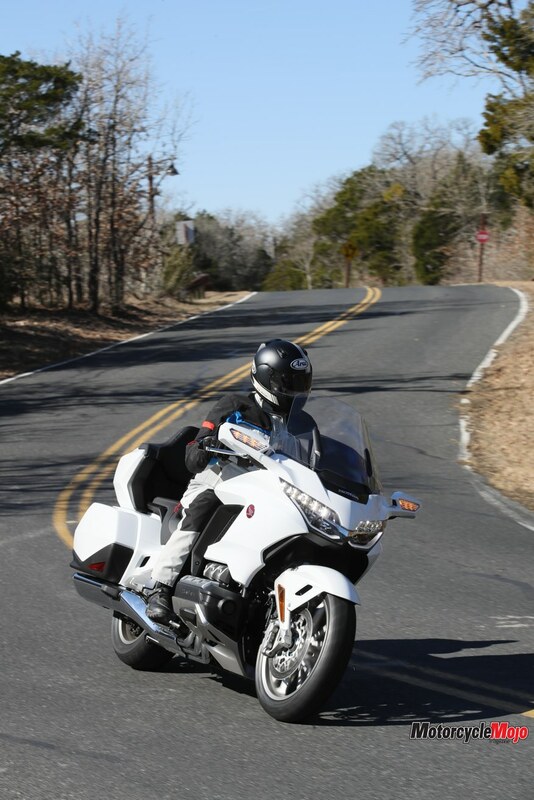 Airflow is not as smooth as on the BMW R1200RT, but it’s very good, and the electrically adjustable windscreen is a snap to use compared with the tug, shake and yank manual shield of the old bike. 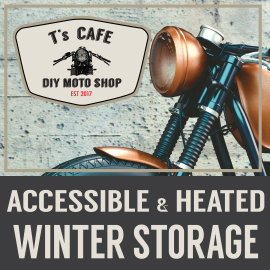 Air that flowed around the sides of the fairing and chilled my ribcage on the old bike was gone on the new one, as was the reverse draft that pushed me forward a bit with the windshield all the way up; no such thing on the new Wing. 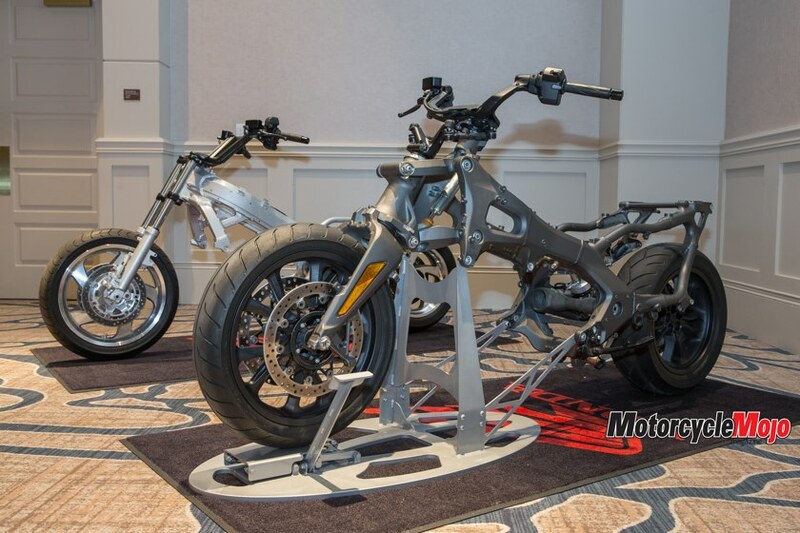 Steering requires more effort on the inside handlebar to pitch the bike into a lean than on the previous generation, which has remarkably neutral-steering for such a big bike. 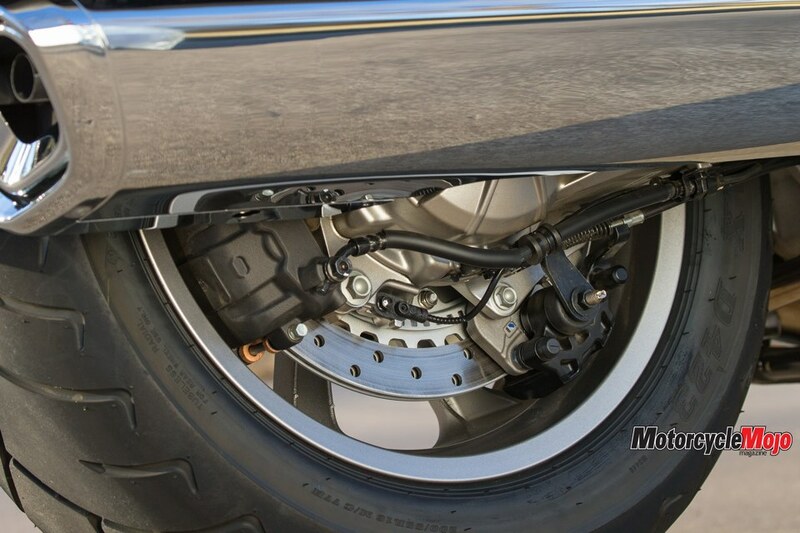 This increased steering effort is negligible, though, and is most likely attributable to the wider rear tire. 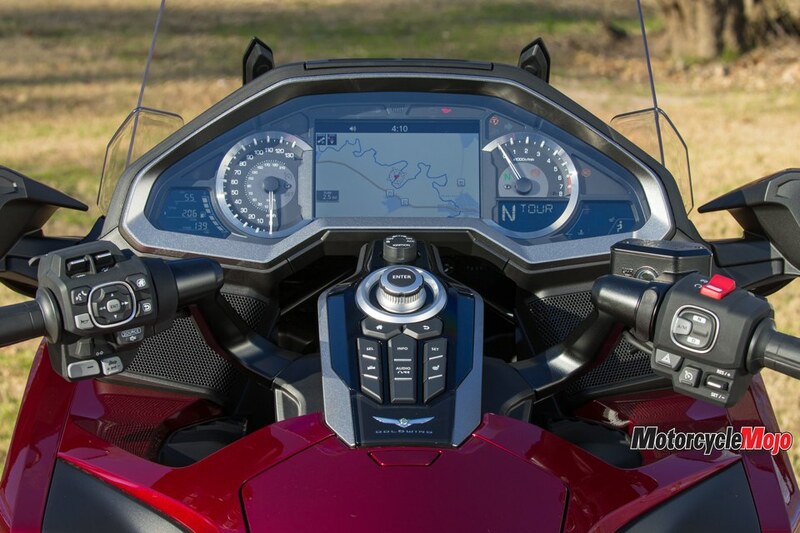 Steering feedback is excellent nonetheless, which is something I thought would have been reduced due to the indirect connection between the handlebars and front wheel. 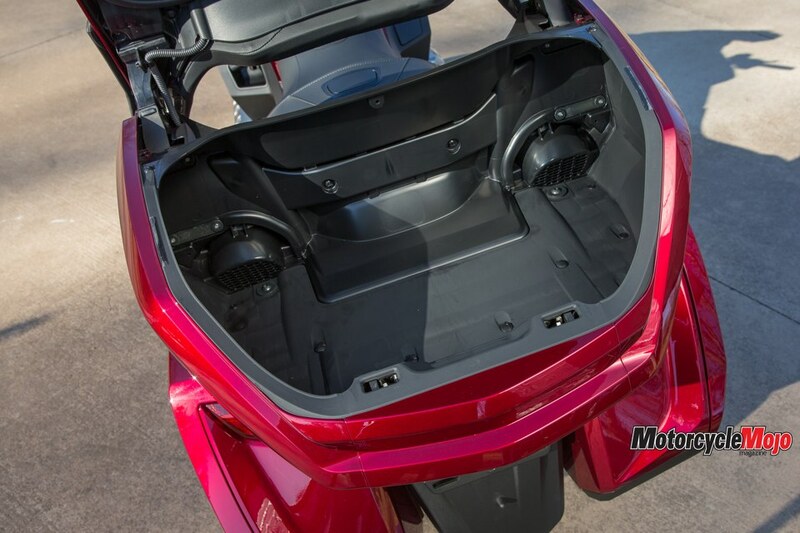 The new chassis is much more rigid than before, and this is something that’s noticeable before even turning a wheel. 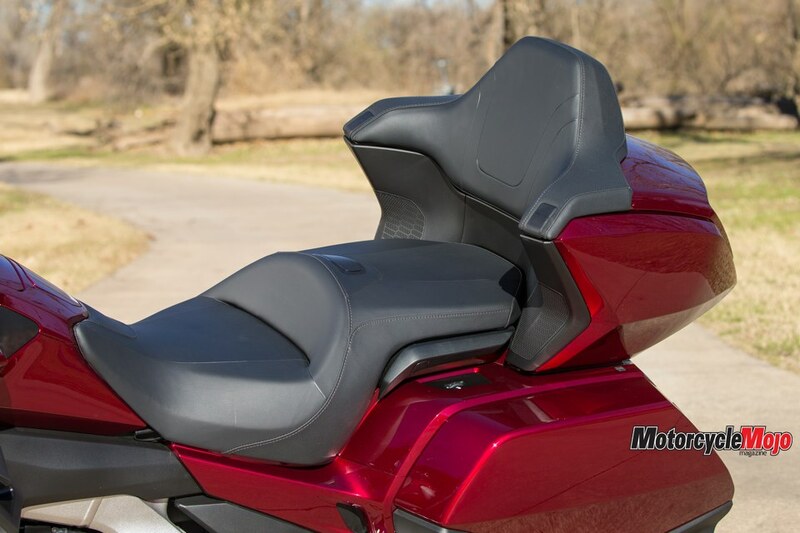 If you sit on the outgoing model at a stop and give the handlebar a quick side-to-side shake, you’ll feel a few oscillations work their way through the chassis after releasing the handlebar. 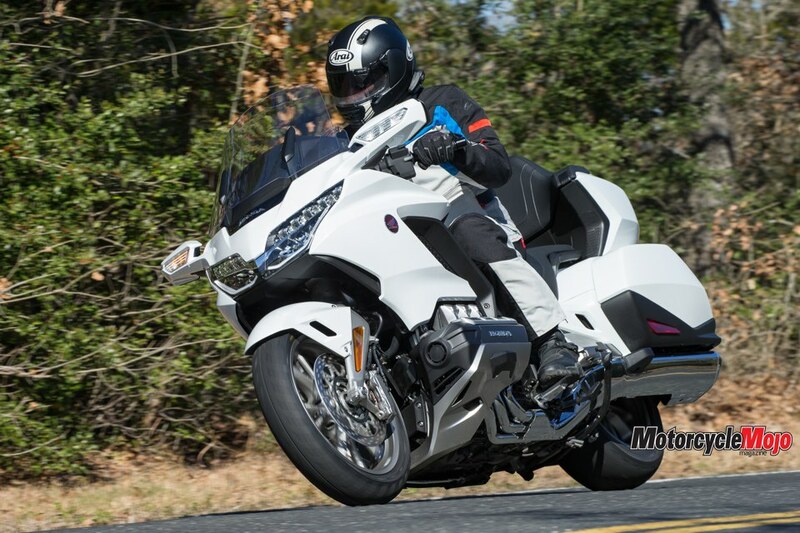 This chassis flex translates into slightly imprecise steering at speed, with an ever-so-slight lag between what you ask the bike to do and when it responds. 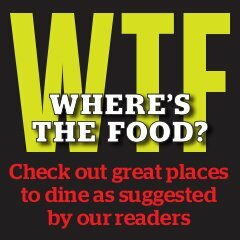 Normally this goes unnoticed – or at least you get used to it. 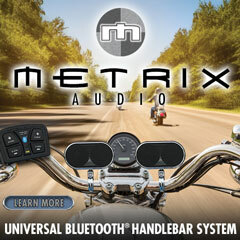 Shake the handlebar vigorously at a stop on the new bike and there is absolutely no further movement. On the road, this increased rigidity gives the new Wing very precise steering and sure-footed stability. The suspension is much more compliant than before, and the twin-wishbone front end is especially impressive. 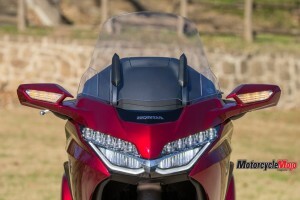 The resonating shock felt at the grips when hitting a sharp bump on the previous model has been reduced by 30 per cent, according to Honda; I say it has been completely eliminated. From the rider’s seat you can see the suspension tie-rod ends bob up and down with every road irregularity you ride over, big or small, yet you feel absolutely nothing at the grips. This unique suspension system might cause some to doubt its efficiency, but it works, and it works very well. I definitely prefer this auto-shifting dual-clutch transmission to the manual, something I wouldn’t readily say about any other DCT-equipped bike. Its seven speeds are spaced closer than on the six-speed manual, and it shifts up through ratios almost seamlessly, though it downshifts with less finesse while slowing down. Automatic shifting feels natural on such a big bike, making life easier, especially at lower speeds, though even on the manual, taking off on an incline is made easier since all models now feature Hill Assist: just pull the brake lever hard when at a stop and the bike stays put until you get on the gas. 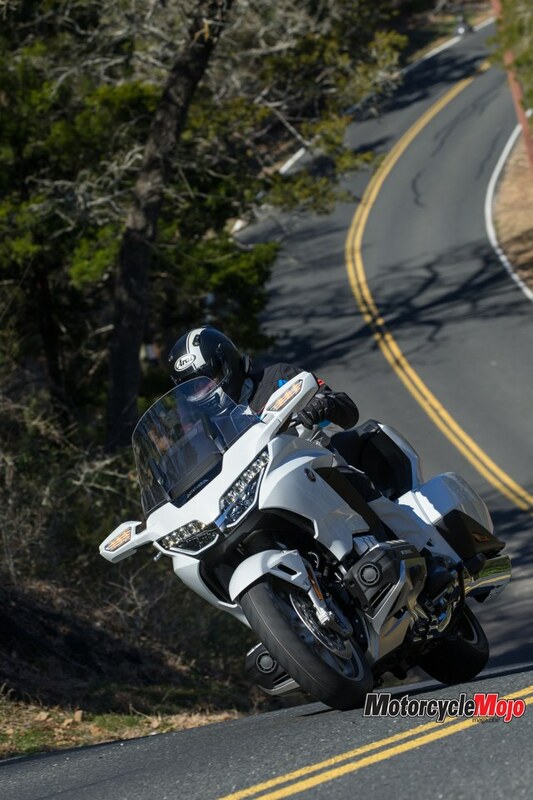 The DCT is ideally tuned when rolling away from a stop, with just a slight nudge at the throttle moving the bike forward. 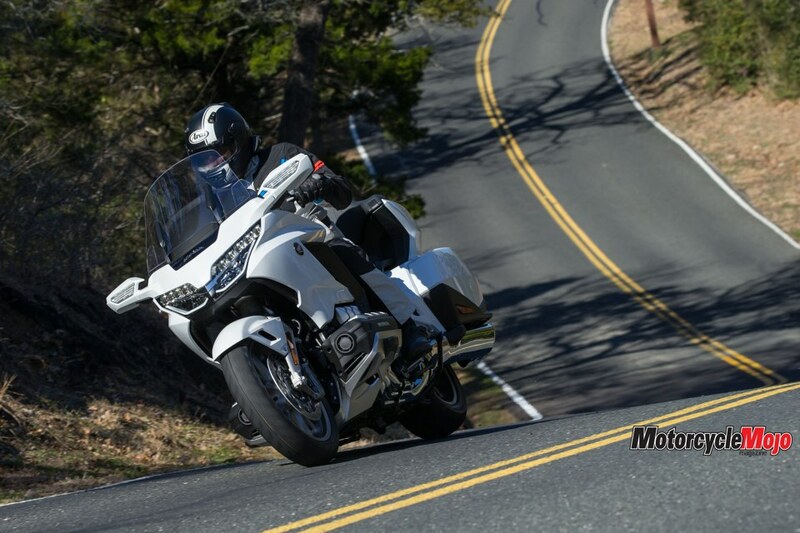 Maneuvering a big bike like this at parking-lot speeds is challenging enough when there is a clutch lever to assist the rider, and it can be especially tricky with a DCT, since the slightest slip of the throttle while in gear will cause the bike to lurch forward. 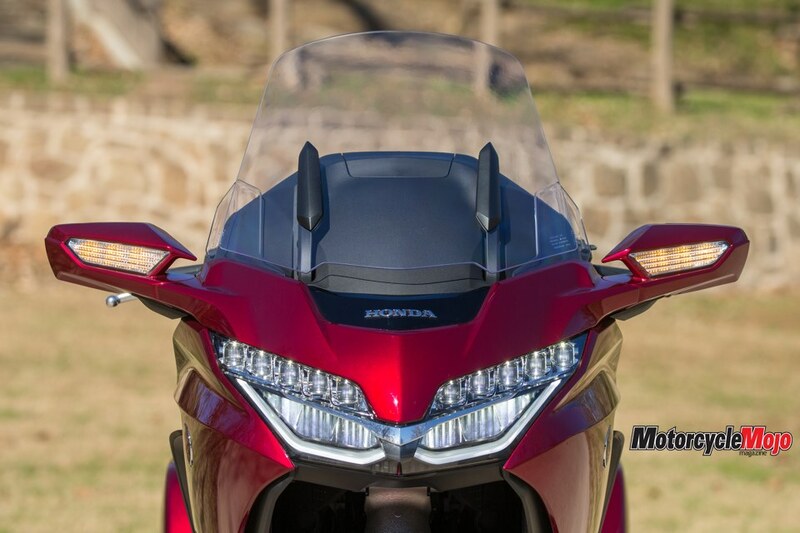 To remedy this on the DCT, Honda has included a Walking mode, activated by pushing a dedicated button on the left handlebar switch assembly while in neutral, and then using the shift buttons to move the bike forward or in reverse at crawling speed. 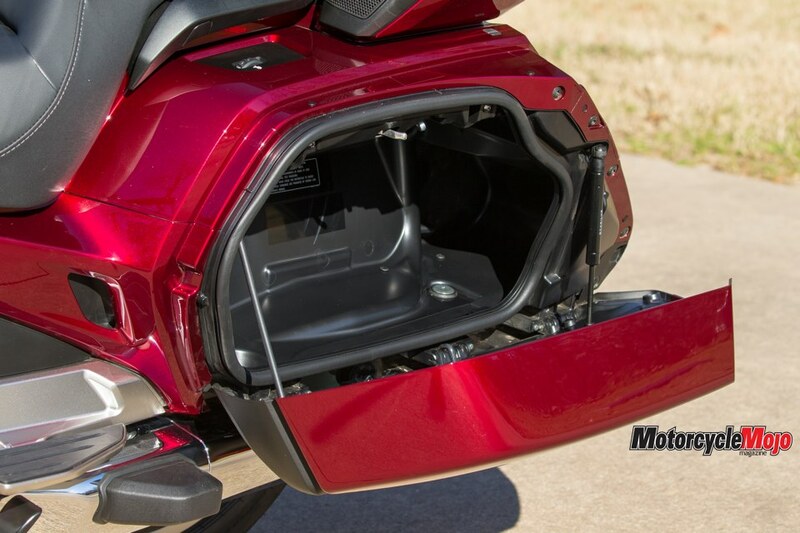 This feature makes squeezing into a tight spot, or even walking the bike up a ramp into a trailer, a snap. 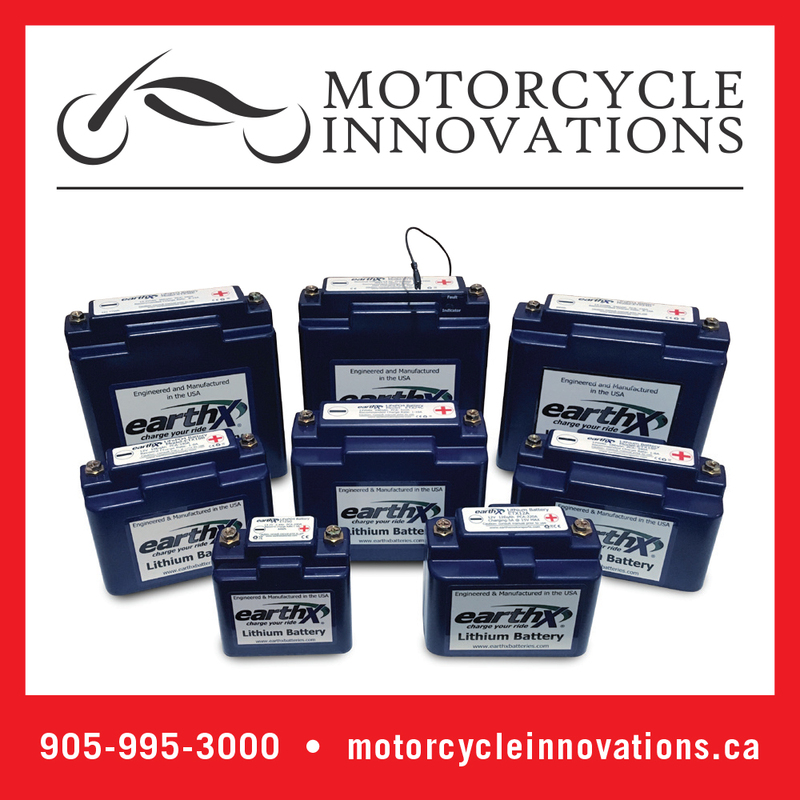 Unlike the manual-transmission bike that uses the starter motor to move the bike in reverse, the DCT uses the engine. Of the four available ride modes (eight if you factor in manual-shift mode), I settled on Tour as my default (it is the actual default mode), as it provided smooth throttle response and intuitive gear changes. 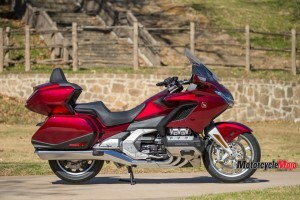 It also adjusts suspension damping on the Gold Wing Tour, putting it somewhere between the softer settings of Rain and Economy modes, and the firmer setting of Sport mode. 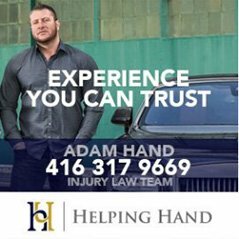 Unfortunately, you can’t go into the system and fine-tune any of the parameters, like, say, choosing a softer or firmer suspension setting in Tour mode. 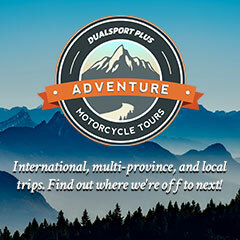 Preload is independently adjustable through the screen menus to four levels, from solo rider to rider and passenger with luggage. The only other mode that interested me was Sport, as it really lit up the Wing. Throttle response was immediate, and it provided a pretty good kick forward when gassing it, though throttle control was somewhat abrupt in the lower gears. I preferred manual mode when in Sport because automatic mode just held onto gears too long and, unlike Tour mode, where you can override the auto-shift and change gears on demand, Sport mode mostly disabled the handlebar-mounted shift buttons. 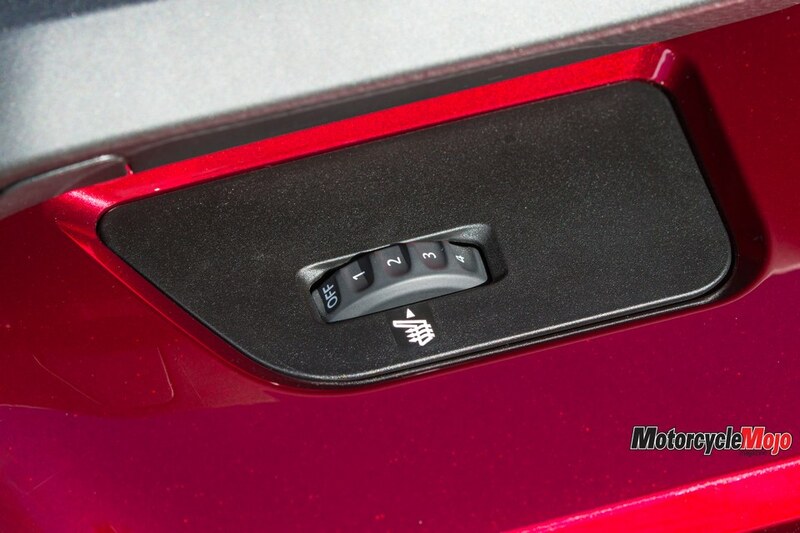 I would install the optional foot shifter, since I just don’t find shifting with my fingers intuitive.